Back In The Gi » Blog Archive » Never throw a phony technique. Never throw a phony technique. What this means is that, even — make that, especially — while “just practicing”, you should never perform a technique in a sloppy way. Instead, you should perform every single technique that you throw as though it were real, although obviously this needs to be adjusted to fit the circumstance when training with a partner. 1) Teaching your body bad habits. The most obvious is that the point of doing techniques over and over is to train your body to do them automatically. If you throw sloppy techniques day in and day out in the dojo, you are not suddenly going to perform them properly if you ever need them. 2) It’s not fair to your partner. 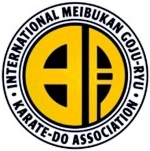 Exercises like paired walking basics, renzoku kumite, and kakomi kumite allow two or more students to practice both strikes and blocks with real contact under controlled conditions. This serves several purposes, including working on accuracy, speed, and timing, as well as providing the sensation of what actually blocking an attack feels like. It also contributes to conditioning (e.g., of the forearms when used to block). If you throw weak punches, don’t aim for the actual target (for example, you already direct your punch away from the opponent before he or she even has a chance to block it), or don’t perform a strong block, you do yourself and your partner a disservice. 3) You could get hurt. If you practice sloppy techniques during walking basics, you will probably do the same when you hit shields or heavy bags. See here for why this can lead to significant ouchies. 4) Effective vs. ineffective technique. The most effective martial arts techniques have a solid basis in anatomy, biomechanics, physics, physiology, and psychology. Of course, early masters did not possess modern scientific knowledge, but that does not mean that they could not sort out what works and what doesn’t. In retrospect, we can explain why certain techniques generate more power or do more damage than others. Much of the time, it has to do with maximizing velocity and the amount of mass behind a strike — Newtonian mechanics plus biomechanics. (I am planning to write more about the science behind martial arts techniques in the future). Sometimes, the difference between an effective technique and an ineffective one can be subtle (in execution, not in outcome). If you are practicing improper technique in class, you will almost certainly fail to generate as much power as you could if you worked on improving your technique each and every time you throw it. I think this video does a nice job of pointing out the importance of technique — and of practicing proper technique even when training by oneself. In case you don’t recognize the guys featured in it, they are Michael Jai White (action movie star with black belts in multiple martial arts) and Kimbo Slice (street fighter and UFC mixed martial artist). Remember that you are training your body, so be a good teacher and never throw a phony technique. “the trees have forgotten the meaning of the six harmonies and the falling leaves” – Old farmer Li. this quote from the xingyiquan lineage describes the ascent beyond the need for technique in martial arts. xingyiquan focuses on a concept called 六和 or six harmonies, the idea is that the body has three internal and three external points of harmonization in martial arts practice. The physical are: the shoulders and hips, elbows and knees, and hands with feet. All parts are meant to move in unison, and if one part is not connected, it is not considered to be correct practice. As a beginner in xingyi, this idea will be drilled into a student for years in hopes that they will not be sloppy and that their body will eventually acclimate to the xingyi way of doing things. It is a supremely difficult process and not so many people ever get past the middle level of xingyi training. The creator of xingyi, Li laoneng (old farmer li) took the six harmonies from an old style of Chinese martial art called heart mind six harmonies boxing, which was based on this concept. Toward the end of his life, farmer Li lived in a remote pavilion in the Chinese countryside and became enlightened about martial arts practice. he set down the poem quoted above. The meaning of the poem is that after so much practice to be perfect, he eventually was able to forget the perfection he had reached in his practice and instead reach the point of being completely in touch with nature when he practised. Just as the trees forget that their leaves are falling off as the seasons change,he too had forgotten that there was point or meaning in doing a martial arts technique in the correct way. His movement had become so natural and free that he no longer was constrained by the principles of his art and could just move as he pleased and still be effective. The best taijiquan player I have ever seen was in Shanghai at East China Normal University practicing on the track at about 7:30 AM one morning. He was very old, I would place him in his 80s. He was teaching another student who looked to be maybe 10 years his junior. When I watched him move, I could not see clearly what type of movement he was doing (I am very familiar with almost every branch of taijiquan, it is usually very easy to tell what a taiji player is doing just by watching them closely). I couldn’t tell where one movement ended and another started. His movement had no form whatsoever, it was completely free with no break or discontinuity. that is the highest lvel of martial arts practice. To get back to the relevant point about this post, it is very good to practice perfect movements, and perfect practice makes perfect, but at some point it is also important to recognise that the body, after knowing a movement very well will just perform it naturally. That is why our movements always change as we improve. Martial arts training takes unnatural movements and turns them into nature. I think this sums it up very well — you can see how awkward everything seems to a new student, and how much more natural it is for an advanced student.